Pricing details for HTC’s flagship Windows Phone 8 device have leaked online and they may be a cheaper alternative for people who are curious about the new mobile OS from Microsoft but think that the Nokia Lumia 920 may be a little too expensive. GSM Arena has gotten hold of some documents from UK carrier Three that peg the non-contract price of the HTC Phone 8X at a reasonable £350, that’s around $564 once converted. Earlier reports suggest that the Nokia Lumia 920 may cost between $700-800without a contract. For those hoping to get an even lower cash-out option, you can get the HTC Phone 8X for £29 with a two-year £30-a-month contract with Three. The HTC Phone 8X is powered by a 1.5 GHz dual-core processor, has a 4.3 inch 720p HD screen and a more-than-sufficient 8 MP camera. Like the Nokia Lumia 920, it also eschews the black-white-silver aesthetics that most other smartphones have adopted and gives customers a variety of bright shades to choose from. It’s a good thing that the HTC Phone 8X is selling at a low price for a top-tier smartphone. The vibrant colors and the new OS may be enough for some but more tentative buyers may not be willing to shell out iPhone 5 and Galaxy Note 2 amounts of cash to try out a Windows 8 Phone device. And while the HTC Phone 8X may not be as technically superior as the Nokia Lumia 920, its specs keep it par with other premium smartphones but at much lower prices. 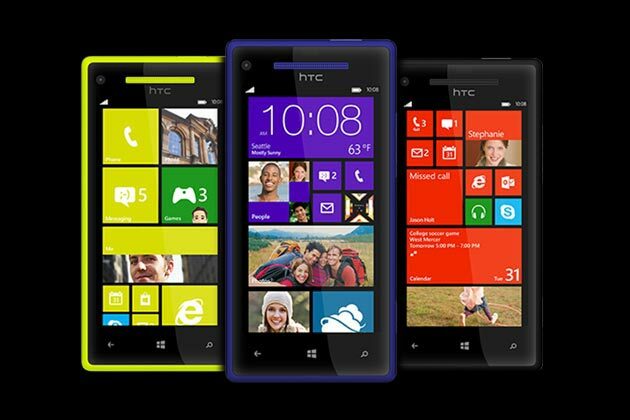 Will the HTC Phone 8X be able to compete with the Nokia Lumia 920? Is the lower price enough to convince you to get it over Nokia’s WP8 smartphone? Share your thoughts in the comments below!